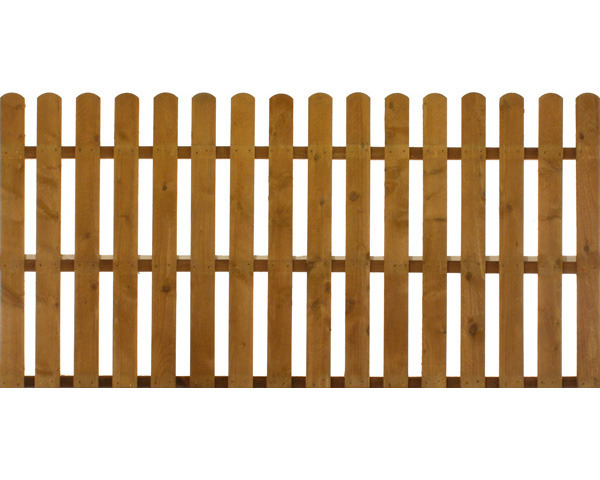 Palisade Fence Panel Round Top 1.83 x 0.91m Brown. Sizes - Width 1.83 metres (6ft). Height 0.91 metres (3ft). Colours - Dipped fence panels are Golden Brown, Tanalised fence panels are Green.